PROFESSIONAL HELP FOR A SMALL EXPENSE. Two Hands Pro is a Baseball/Softball product development corporation. Our 1st product is a high level defensive practice tool. 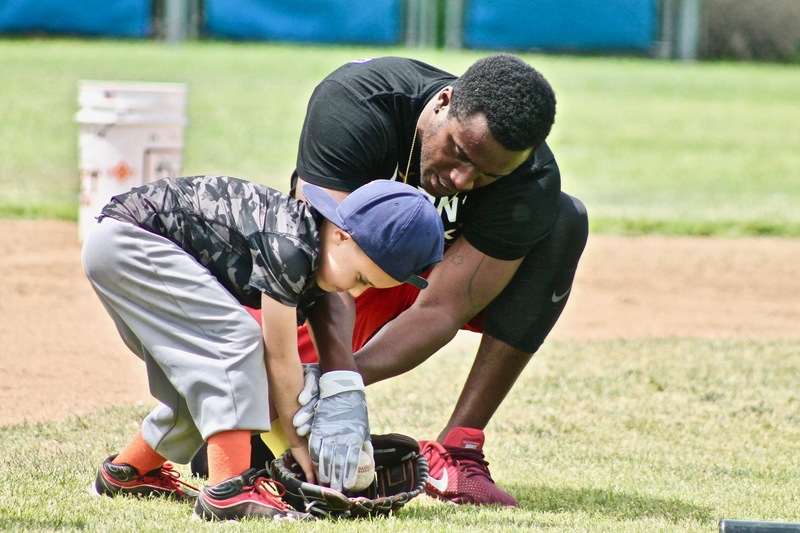 down to young players learning the fundamentals. to get good enough to make it to the major Leagues." 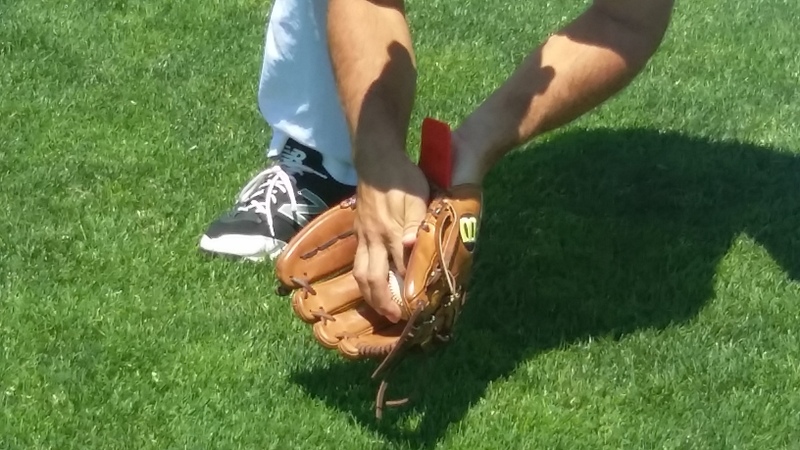 hold your glove pocket open in a perfect position. you must use 2 hands to successfully catch the ball. "Looking for the edge over competition, training with Two Hands Pro is it." 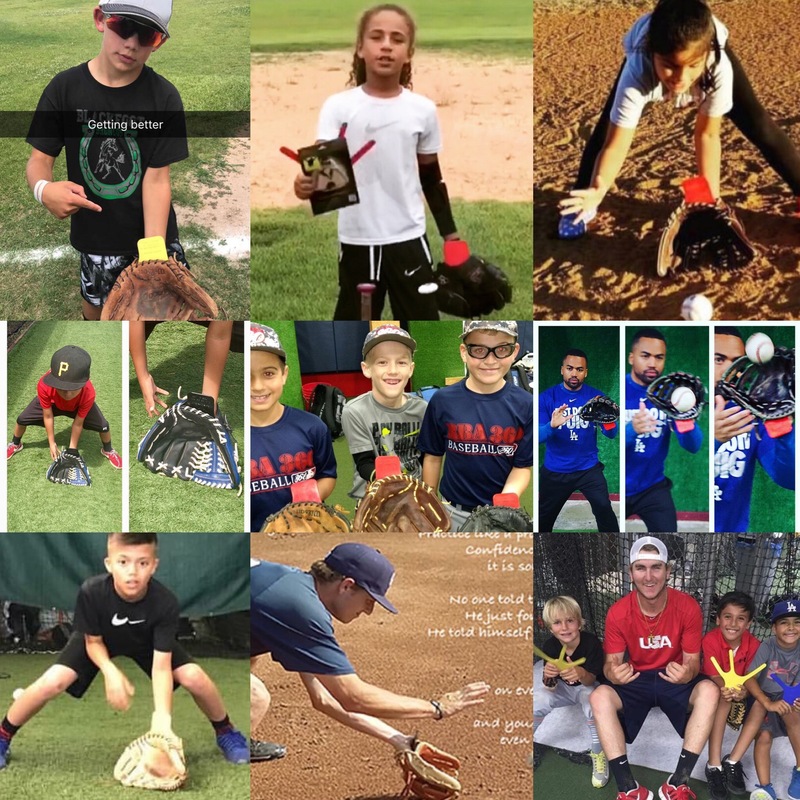 Two Hands Pro teaches and reinforces the fundamentals of catching the ball by holding the glove in the open position at all times which makes the player have to use 2 or both hands to complete a catch. With regular practice this tool will quickly develop proper muscle memory to make your player or team achieve a higher level of competitiveness. PRACTICE WITH TWO HANDS PRO DEFENSIVE TRAINING TOOL. Use with the whole team or one on one practice or even by yourself! A baseball training tool that will build your technique into muscle memory with practice. Two Hands Pro fits inside the glove to hold your glove in the open position even if you try to close it. This will force you to try to get to every ball with 2 hands and lower the amount of errors you make by building the best technique into your muscle memory. Made by a player for the everyday player looking to improve their game and make it to the next level. Players achieve more and reach their highest potential with Two Hands Pro. Players everywhere are practicing with the Two Hands Pro trainer. FEATURED ATHLETE "VIDEO OF THE MONTH"
What is Two Hands Pro Trainer? A highly innovative, very cool device that is inserted into the player's glove and used to develop professional technique and skill, without a professional coach! 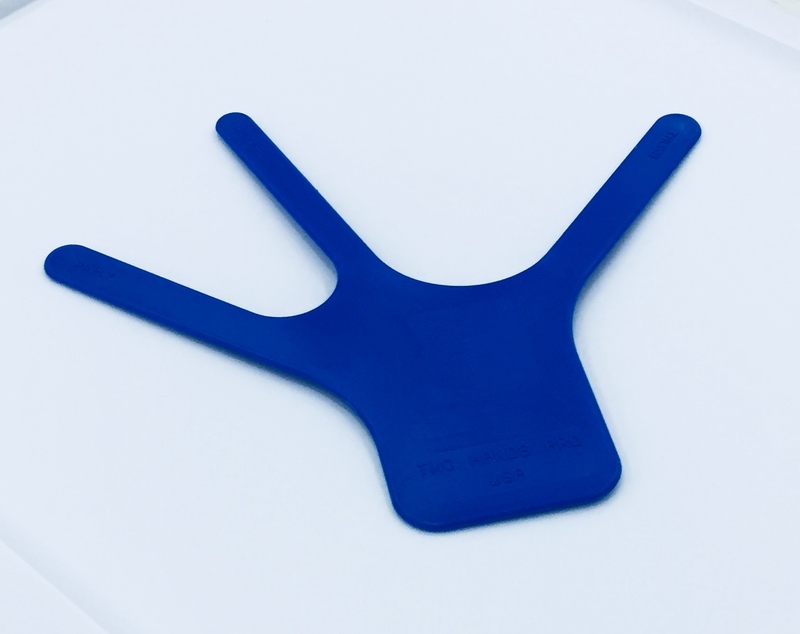 This tool when inserted into any size baseball or softball glove provides stiffness so that a player cannot close their glove with normal human force. 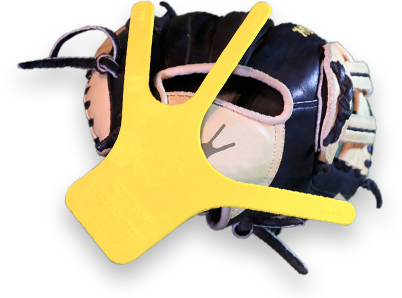 This restricted glove now forces the player to use both hands to catch or field a batted or thrown ball. This two handed technique is taught to players at the highest level due to the safety protection it provides the player fielding the ball (throwing hand protects the face) as well as two handed fielding being the most strategic way to catch a ball to avoid costly errors. 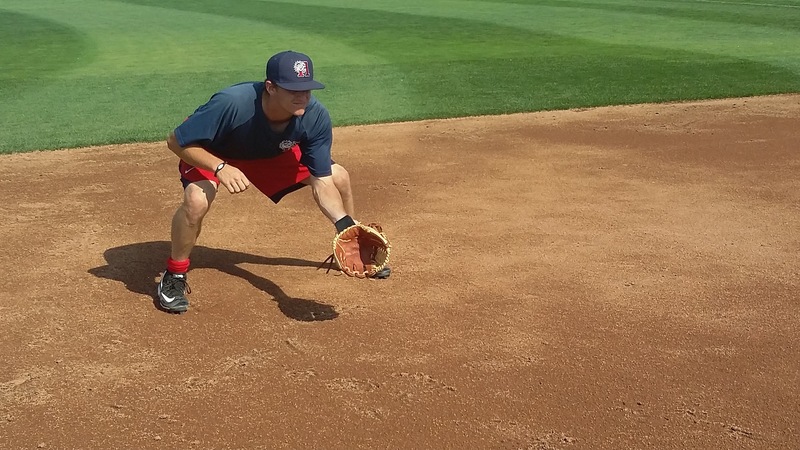 All players from MLB infielders to the beginners need to continually practice there technique and stay sharp on their skills to compete. Major League coaches are saying this is a must have tool for any players developing for a chance to play pro baseball because, all the top infielders in history started with a flat paddle made of wood, or a old flat mitt, or even a flat pancake glove at a young age. Well look no further Two Hands Pro defensive training tool will not allow you to close or bent your glove and forces the user to field using both hands and is just like having a pro coach right there with you because if you attempt a incorrect catch the Two Hands Pro baseball trainer gives instant feedback that you were wrong by the ball dropping out your glove. This is a practice tool meant to build the player's muscle memory to remember the important movements for his respected position and build the players confidence to perform when the game is on the line and he or she is under pressure. What is are the benefits? Two Hands Pro will reduces the potential chance for error during game play and is the safest way to to learn to play defense to protect vital body parts from injury. Because you want to be the best player you can be, by training you body harder and smarter than your competition. In a competitive game of failures like baseball or softball, someone is always trying to beat you out for the starting position. You are not going to let that happen without a fight! Anywhere, Anytime, with the team or Alone! It is time to become the confident player you dream to be and you can start by using Twohandspro today! YOUR EDGE OVER THE COMPETITION IS TWO HANDS PRO!